Welcome to Art's House Schools of Music, Dance and Fine Art Registration Form. Please fill out the required information below. Your credit card will NOT be charged at this time. All registration are considered pending until we have reviewed your registration and posted any fees due. Any applicable discount will be applied as well. Payment of Fees: Tuition must be paid by automatic bank account debit or automatic credit card payment. Tuition will be debited from your bank account or charged to your credit card on the 1st or 15th day of each month from October-May, and on the 1st of the month for September and June. The month of September is non-refundable. Credit card or bank debit payments are not accepted for in-person payment on a monthly basis. Payment must be made by pre-authorized automatic monthly payment. All charges will appear on your bank statement or credit card statement as being from Art's House Schools, Inc.
All students are automatically renewed for lessons beginning in the following term/level. New charges for tuition and fees will be charged to the account on file. If you do not wish to renew your child, please notify the school within two weeks of the re-registration process or by June 5th whichever comes first. Registration fee will be charged to your auto-debit or auto-card on June 15th and is not refundable. All pre-jazz/hip hop, jazz, tap and hip-hop classes require a tee-shirt fee that must be paid upon registration. Preschool dance and ballet skirt fees will be charged to your auto-debit or auto-credit card charge September 1. (If registering after September 1, tee shirt and skirt fees must be paid at time of registration.) No refunds will be issued for skirt or tee shirt fees. These fees are for DANCE STUDENTS ONLY (music and art students simply click agreement; these fees do not apply to your account). Costume fees for the year-end recital will be charged to your auto-debit or auto-credit card charge November 15. No costume fees will be refunded after this date even if a student withdraws from the school. Costumes for company classes may require an additional fee depending on the cost of the costume. Costume fees vary by class/es, fees will be confirmed after registration. End of Year Fee (EOYF) covers adult tickets, a copy of the show and a color Playbill. EOYF will be charged to your auto-debit or auto-credit card charge March 15. EOYF for a single student family is $185; a multi-student family is $255. 2. Complete and sign a withdrawal-form provided by the school office. All automatic bank debiting or credit card charges will stop after the one-month notice period. Art's House Schools, Inc reserves the right to terminate lessons to any students without notice. In such a case, a refund will be given for unused lessons. If the school must cancel classes due to extreme weather or events beyond our control such as power outages, the missed lessons will be added on to the end of the teaching year. No refunds for lessons missed due to these reasons will be given. The school reserves the right to provide a substitute teacher if the regularly scheduled teacher is ill or otherwise unable to teach classes. If a teacher is ill and the school cannot arrange a substitute any missed classes will be made up. Required dancewear and dance shoes must be worn to all classes. Failure to wear required dancewear to class could result in students being asked to sit out the class. Repeated failure to wear required dancewear could result in termination of lessons. Students are not permitted to wear jeans or shoes worn on the street or outdoors, to any dance class. For safety reasons dancers are not permitted to wear jewelry with the exception of small earrings. Long hair must be pulled back. Absolutely no make-up lessons will be given for missed lessons unless absence is due to serious illness and 24-hour notice has been given to the school office. Make-up lessons will be limited to 2 per teaching year and will require a doctor's note. No refunds are given for missed lessons. (School activities such as ski trips or programs, band trips, Spring Breaks that differ from our school's Spring Break, sports games, etc. do not qualify for make-up lessons.) There are no make-up lessons for group music, dance or art classes. The school reserves the right to have students who come late to class, sit out the class. Students who are running late or will be absent need to call to inform the instructor and the school. Repeated lateness may result in termination of lessons. A minimum attendance level will be required. If a student misses more than 4 classes without written notices, the school reserves the right to terminate lessons. Dance students missing more than 4 classes after February will not be allowed to participate in the June performance. It is the responsibility of the parent or adult student to be aware of all school activities, such as viewing days, recitals, exhibits, extra classes, and dates the school is open or closed. The school will post all such notices as well as send notices home with the students. It is the parent's responsibility to check regularly to ensure they are informed. It is the responsibility of the parents or adult students to inform the school of any address or telephone number change. The school is not responsible for providing before or after class care for students. Students are not to be left at the school for excessive time before or after class. Cell phones are not allowed during class. Any parent whom needs to contact student during class time should call the school. AHS observes an open door policy as well as a drop-off and leave policy; parents can watch their child's class for up to ten minutes anytime during the lesson but have to leave the studio after that time. Art's House Schools, Inc. is a 501c (3) not-for-profit organization, as such we offset the cost of tuition and fees for all our students and parents through the procurement of funds through grants and fundraising. 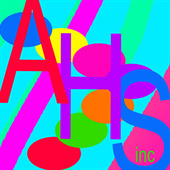 To support AHS' efforts the parents of Art's House Schools have voted for a mandatory family donation of $50 per family per year. Every family is responsible for a donation of at least $50 annually, which is due November 1, or two months after your first day of classes. Donations can be made through either fundraising or a cash contribution. I understand that the Art's House Inc also known as Art's House Schools, Inc its faculty or employees are not liable for injuries of any kind sustained or contracted by me/ and or my child and I cannot hold the studio responsible for the loss or destruction of personal property while enrolled as a student. The school is hereby granted permission to take photographs of the students to use in brochures, web sites, posters, advertisements and other promotional materials the school creates. Permission is also hereby granted for the school to copyright such photographs in its name. I hereby irrevocably authorize the Art's House Schools to edit, alter, copy, exhibit, publish or distribute this photo for purposes of publicizing the Art's House Schools' programs or for any other lawful purpose. In addition, I waive the right to inspect or approve the finished product, including written or electronic copy, wherein my likeness appears. Additionally, I waive any right to royalties or other compensation arising or related to the use of the photograph. I hereby hold harmless and release and forever discharge Art's House Schools from all claims, demands, and causes of action, which I, my heirs, representatives, executors, administrators, or any other persons acting on my behalf or on behalf of my estate have, or may have because of this authorization. I hereby grant Art's House Schools, Inc permission to use my/ and or my child's likeness in a photograph in any and all of its publications, including website entries, without payment or any other consideration. I understand and agree that these materials will become the property of Art's House Schools and will not be returned.